Players receive masterpoints for winning and placing in club and tournament games as they strive to become a Life Master. Members advance through ranks as they earn the required number of masterpoints for each of 14 categories � Rookie (0-5 points) to Grand Life Master (10,000 points). Five hundred points are required to become a Life Master. Players receiving the most points in each category annually receive local and national recognition in each category during annual masterpoint races. The ACBL’s masterpoint system appeals to members because it permits them to know their approximate overall ranking relative to every other member. Although a complete listing of the large number of ACBL members is impractical, the ranks that members earn as they achieve various plateaus of masterpoint holdings serve as close approximations of their overall standing. Lists of the top players in some categories and masterpoint races are published in The Bridge Bulletin magazine and on the ACBL web site. There are formulas for computing masterpoint awards for all ACBL-sanctioned events. These formulas take into account various factors, such as the class of the event, the size of the field, the number of sessions and the level of competition, thus ensuring maximum uniformity throughout the ACBL in determining masterpoint awards. Additionally, masterpoints are “pigmented” to reflect the level of competition. 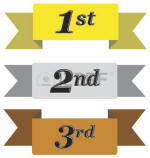 Gold points are awarded for overall placing and section tops in regional and NABC events of at least two sessions. The upper masterpoint limit must be at least 750 masterpoints and applies only to the top two stratifications of stratified or stratiflighted events. In open-bracketed events (such as a bracketed knockout team), each bracket will award some percentage of the overall award as gold, irrespective of the masterpoint holding of the teams in that bracket. Gold points may be awarded for special games, such as the ACBL-wide Instant Matchpoint Game.